From Goodreads.com: Samantha Brinkman, an ambitious, hard-charging Los Angeles criminal defense attorney, is struggling to make a name for herself and to drag her fledgling practice into the big leagues. 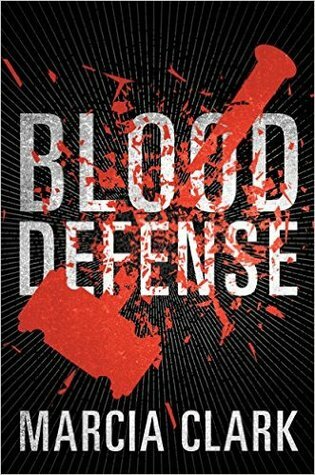 Sam lands a high-profile double-murder case in which one of the victims is a beloved TV star—and the defendant is a decorated veteran LAPD detective. It promises to be exactly the kind of media sensation that would establish her as a heavy hitter in the world of criminal law. I've read other books by Ms.Clark and (for the most part) enjoyed them. This one however... was harder for me to get into than the other ones. For this story, she seemed to be trying to take things in a "different" direction with her lingo and that was actually a turn off for me. Some instances of this was when she referred to a neighborhood (on more than one occasion) to a 'hood, or when she called a police helicopter a "ghetto bird" (I actually had to look that one up). Then she was almost always referring to someone committing a crime as being guilty of "crime-ing". This did not speak of her life in law - but more as someone who wasn't familiar with the lifestyle and was just trying to throw a story together. Now to Ms.Clark's credit she does have a certain gift for tying up loose ends, while managing to engage the reader enough that they want to continue on with the series. I do enjoy the way that she makes her characters strong-willed and able to find details that others have overlooked. The "breaks" that come in this case (along with the surprises) are what makes her stories stand out in the crowd. Overall - If you can get through the few things I pointed out, then you will probably enjoy this story. There were a lot of good parts to overshadow the bad, but it was enough that some people may not enjoy this story. Speaking just for myself however, there is a good chance I would continue on with this serious not only to see how it plays out, but to see if it becomes stronger the way her last series did.